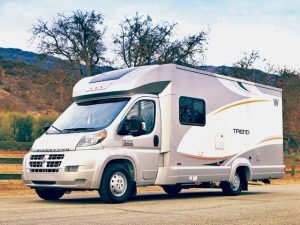 New article: Best Class B RV Motorhomes. Other new articles: Campground Review for Big Lagoon State Park and Campground Review Davis Bayou NP campground. Other updates 2019 of the Top RV Shows in US and Canada and our updated Fort Pickens Campground page with news relating to the shutdown. Another new post is our Master Directory of Great River Road Articles & Maps. Recently we extended our exploration of Florida’s Scenic Gulf Coast Highway 98 from Pensacola Beach to south of Tallahassee. At Tallahassee, Highway 98 moves away from the coast and technically no longer a coastal drive. 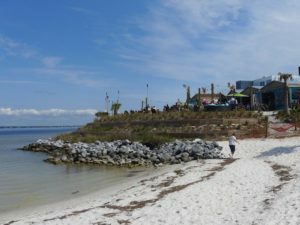 However, we had heard good things about Cedar Keys, a Gulf resort beach community about 150 miles south of Tallahassee. So we took a drive down that far and we really impressed. See our article on things to see and do visiting Cedar Key. Also found two campgrounds down there we like: Shell Mound County Park and Manatee Springs State Park. We also recently finished posting our article on interesting visitor attractions in Dubuque, Iowa along the Great River Road Scenic Drive and updates to our series of article driving along the Natchez Trace National Scenic Drive. Best USA-Canadian Compact Motorhomes – Trying harder to match Europe’s standards! 2019 Top RV Shows – Our calendar of best RV shows to catch this year. Historic Mineral Point Wisconsin – unique boutiques, artisan attractions, antiques, historic inns, etc. The Patio of Red Fish Blue Fish Restaurant in Pensacola Beach is where everyone wants to be. Excellent uncrowded beaches, hiking trails, top quality campground, and interesting military history. Attractive historic city whose roots trace back to the earliest European settlements. Historic scenic byway, no stoplights, ad signs, nor commercial traffic. 50 mph speed limit. Hundreds of historic markers and exhibits along the route. St. Croix Interstate Park & Campground along the St. Croix National Scenic River. Great hiking and scenery along the canyon rim. While the Internet has a wealth of information, we always use and like hand-held books and guides that require no electricity or wireless connection to use! Agate and Rock Picking on Lake Superior Beaches Finding pretty rocks and agates is a favorite pastime on Lake Superior’s uncrowded and expansive sand beaches. One of the oldest National Parks with an interesting history, historical spas, and a terrific network of day hiking trails and scenic overlooks. A unique museum and aquarium with attractions for all ages. Links to profiles, pictures, and information on some interesting parks within the National Parks system that you may not have heard of. If you are a camper or RV traveler, here’s some of our favorite and useful links to Internet guides to campgrounds and parks, other blogs with useful scenic travel info, and other stuff of interest to the motor home and rv campers. 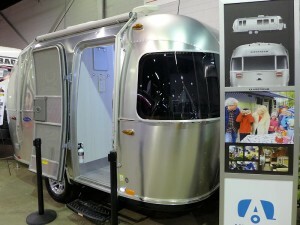 See photos, our reports, and links to some of the new models of travel trailers and RVs. The recent Hurricane of 2018 will affect travel along the Florida Gulf Coast Scenic Drive from Panana City Beach to historic Apalachicola, Florida. You’ll have to take a few detours along the route. Fortunately, although they got a lot of water, Apalachicola should be recovering nicely from the storm and is planning on continuing to hold their annual Florida Seafood Festival. You can use the Search box to find information of interest or drill down through Categories of interest in the Menu at the top of the page. 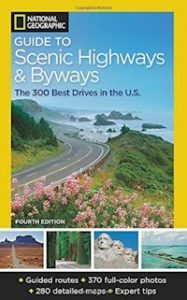 For example if you are interested in looking at what we have relating to Minnesota Travel along the Lake Superior Route, go to Scenic Drives > Lake Superior Circle Tour > and click on the subcategory Minnesota Travel. Thanks for the tip Ron. I’ll take a look at your site soon. Sorry for the delay in responding. Somehow missed that this came through. rvcrossroads.com is a non commercial site written and maintained by Ron and Martha Hughes, a retired newspaperman and a school teacher. maybe you can consider adding it to your list of blogs. Thanks David for the compliment. The Trace is a neat ride isn’t it. We have 2005 QD which is now going into winter storage until we take our spring trip. If you ever do any traveling in the north central US you might also enjoy our SuperiorTrails.com website. Glad we could help Bart. Hope the weather was good for the last leg of your trip. I’m in Sault Ste. Marie bicycling clockwise Duluth to Duluth. Wonderful trip. Thanks for the help you gave me earlier when I emailed asking for advice. Good to hear from you again. I’ve added information on your new boondocking website to our RV Camping & Travel Resources page. In two days we are heading for Wisconsin’s scenic Door County hoping to catch some nice fall color and explore the many interesting things to see and do there. About a year ago you contacted me to request a link to your site. I put it off at that point (can’t remember why) but have just checked back to discover that your posts have continued to grow and…Wow! Your blog has become a great valuable resource for RVers. Let me know if you’d like any changes.